Last year Brian Mengini introduced himself to me via Facebook and I happily discovered his dance photography (he operates a studio in the Phoenixville suburbs of Philadelphia). Soon I saw his name attached to projects left and right, from his photography exhibit Spirit of the Fallen which depicts winged dancers in honor of fallen police officers, to the Dominics Dreams Foundation, the support group for families affected by Sensory Processing Disorder (SPD) which he operates with his wife, Sandy. Brian’s photography has been published on Dance Advantage, in most dance periodicals, as well as in the book, When Men Dance: Choreographing Masculinities Across Borders . Currently, he is working on a blog, Barre Boys, which spotlights men in ballet, and will produce accompanying live events featuring all male performers. Married with two children, Dominic, 9 and Michela, 7, Brian is a firm believer of giving back and giving voice and opportunity to those who don’t have one. I had a chat with Brian about another new and growing project he has in the works, Hope Dances, an initiative that aims to bring the benefits of dance to kids with special needs. Dance Advantage: Hope Dances began as an initiative of Dominics Dreams. Can you tell us a little about your son Dominic and Dominics Dreams? Brian Mengini: Dominic was diagnosed with Sensory Processing Disorder (SPD) shortly after his third birthday. SPD is the brain’s inability to receive, process and respond to information brought in by the five senses as we know it. It also affects their coordination and body awareness. It affects each child with it differently. Some kids may present over or under-sensitivities to touch or sound. They also may not present an awareness of where their body is in relation to the rest of space. Or, imagine you have twenty different voices in your head yelling all at once. It clogs you up and you may get frustrated and just yell. Well, their body is going through that type of overload with their senses all day long. They are not equipped to process and organize it properly so they may seem unfocused or present what might be called behavioral issues. Through years of independent, school and home based therapies, Dominic’s symptoms have leveled out tremendously. Those therapies included speech, physical and occupational. His social cues, graces and manners are in line now with his peers, his focus and attention have improved significantly, he is now able to tolerate louder sounds and new textures, especially with clothes. It took us four years to get him to wear a golf shirt. When we first started on our journey, there were no formal support groups that we knew of for SPD. So, that was the main driving force behind DominicsDreams. What we do is host community events that are educational and fun, at no cost. We shadow families at times, helping guide them on where to turn for services. I do a bunch of speaking engagements. Currently, we are working on a program to bring into the school systems to educate the teachers. We are dealing with a disorder that affects one in twenty kids but no one knows about it. DA: You’ve worked in dance for a long time, as a company manager and dance photographer. 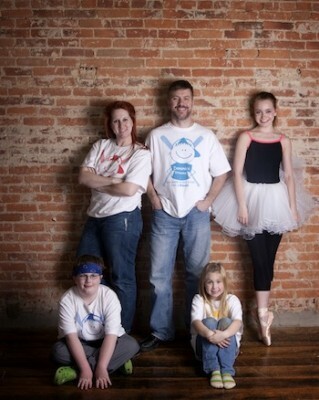 Hope Dances is the most recent example of a charitable project which combines your passions. Why is there a need for Hope Dances and what compelled you to make this happen? BM: Dance is such a wonderful gift with many benefits to body and soul. With Dominic, we are now at a point where we are doing only alternate therapies – swimming, soccer and horseback riding. I have long wanted to create an outreach program around dance. I now have that platform. I feel more people need outlets like dance in their lives, whether it be simply as a spectator or in education. With Hope Dances, they are getting both. they are experiencing dance in a physical way that helps them overcome some hurdles but they will also attend performances so they can see the beauty. DA: What are the benefits of dance for special needs children? BM: Dance helps with a sense of body awareness, it helps with confidence and social skills. Dance allows for creative expression and individuality and provides exercise and healthy living. Dance allows room for creative thinking and the acceptance of varied concepts, it stimulates the intellect. It can foster a sense of peace. Dance allows you to express the inner you in a fun, energetic and engaging way that is nonjudgmental. Our hope is that some of the kids may be able to break out of their shells a little and ultimately that they can just “leave it all on the floor.” We want them all to have a full and rich experience. DA: Hope Dances will be offering monthly dance “parties” which are either free or of minimum cost to the families. 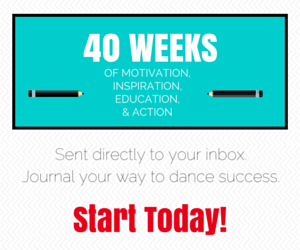 Who are the master class teachers you have lined up? BM: The first one will include Ian Hussey, a soloist at Pennsylvania Ballet and Michael Patterson, a teacher at Sandonato School of Ballet. We have a bunch interested and ready to go after this in all forms of dance – tap, hip hop, contemporary. They are all working professionals in their genres. I am very fortunate to have the friends and contacts I do. They have all really stepped up on their own to support this program. Its quite humbling! DA: Hope Dances is not limited to children with any particular disorder or diagnosis. What kind of preparation goes into planning events or working with such a wide range of differently-abled students? BM: I think that will be a work in progress, honestly. Most studios or schools who have a special needs program, its mostly creative movement. I want to offer the full spectrum of dance. So, right now, we are just lining up the teachers and will see as we go, what works and what tweaks need to be made. We do let the parents know what to expect and let them decide if they feel its a good fit for their child. Jacques D’Amboise runs an amazing program in New York, National Dance Institute, which is mostly geared to low income students, but they do offer programs for special populations. I have recently been in contact with him and his staff and they have been just so accommodating, supportive and just amazing. So, I am looking at their program and talking with them more to see what things I can pull from their model. I don’t want to replicate anything that exists, but am ok with taking a look at existing models and see what tweaks we can make, how we can customize it to make it our own or even just to get some new ideas rolling out. But again, from my first email into them, they have been truly incredible. DA: What should teachers or dance administrators consider if they are interested in creating programming, classes, or events for special needs children? BM: My biggest thing would be to try new things. See what works and what doesn’t. Make sure the curriculum is appropriate. My goal with our program is to teach the kids real steps, even if at a beginner’s level. Look at other programs for ideas and as possible models. DA: What’s coming up for Hope Dances? BM: Well, we are planning an all-star gala for June 25. Dancers from Pennsylvania Ballet, Boston Ballet, Rennie Harris Puremovement, Say Dance, Tap Team Two and Rasta Thomas, have said yes and we’re ironing out schedules. This will be a fundraiser for Hope Dances and an annual event. Other than that, we want to keep exploring dance with these children. We are assembling a steering committee. I want to create this program to offer weekly classes and work towards a showcase so they can show what they have learned and how they have progressed. I want to continue to grow this program, get our own home and perhaps create satellites in other areas. There is a need for this. I want to fill that need! For more information or to find out how to get involved visit the Hope Dances website, their page on Facebook, or contact info AT hopedances.org. If you reach out to this special population, have you seen a positive change in the students in your program? 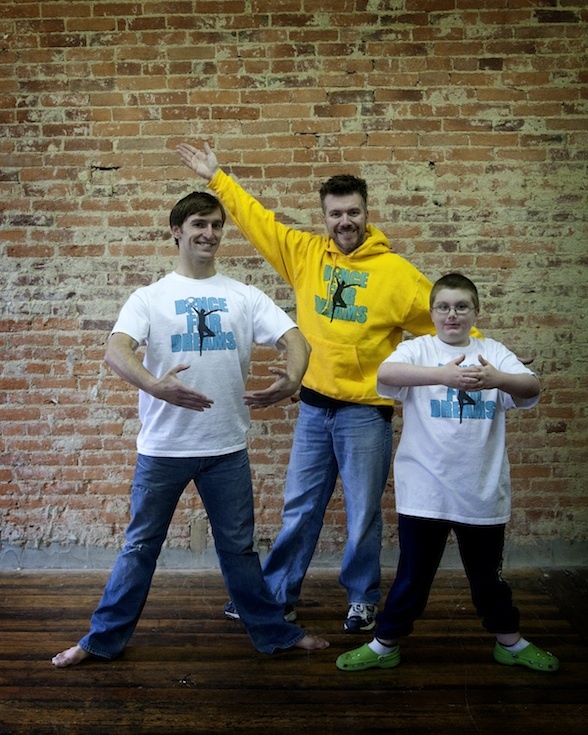 What are your questions about offering dance to kids with special needs? I love this. I have a daughter who was born missing several leg bones, but dance is her passion. She loves dance and I have been blessed to have several teachers who have worked with her both with her prosthetic legs and without them. She has now along with Texas Scottish Rite hospital created her own pointe legs and is also dancing on Pointe, as far as we can tell she is the first double amputee to do so. Dance has done wonders for her confidence and her coordination and muscles. I also have a son who dances, he has almost always been the only boy in classes filled with girls, he is 16 now and still dancing, his favorites are ballet and clogging. Dance has been wonderful for my children! Thanks so much for sharing a bit about your kids, Lorraine. Working with your daughter and your son was so rewarding. That they continue to dance despite obstacles and rise to challenges is also a testament to your parenting. Thanks for stopping by and for your support of DA! Just finished reading and enjoying your article on Hope dances for Children with Special Needs. Enjoy the youtube video clip introduced by an ABC News 15 review of our recent Cinderella performance with 60 special needs kids and 40 typical children performing to a sold out audience at the World renowned Herberger Theater here in Phoenix Arizona. Would appreciate any promotion ideas (possibly interviewing Caroline Atkinson Founder and Artistic Director) by carrying this message forward and supporting our special needs kids. Let me know a convenient day and time to chat and I will confirm.